VICTORIA, BC – Driftwood Brewery has announced the release of the 11th annual edition of its winter seasonal beer. Don’t let the pale appearance fool you: the intense layers of rich malt, vibrant hops and warming alcohol can be enjoyed fresh and young or marveled at following a few months or years of cellaring. Coming in at 10.3% this year, it’s sure to warm your bones on those cold winter nights. 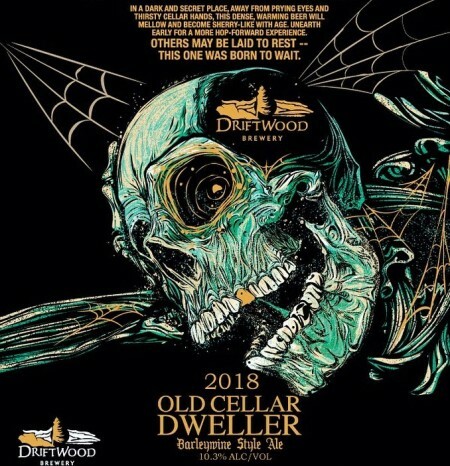 Old Cellar Dweller is available now at the Driftwood retail store and select liquor stores in Victoria and area, with distribution to Vancouver following next week.